The Silence Plus 2G is the new “big bowl” model. 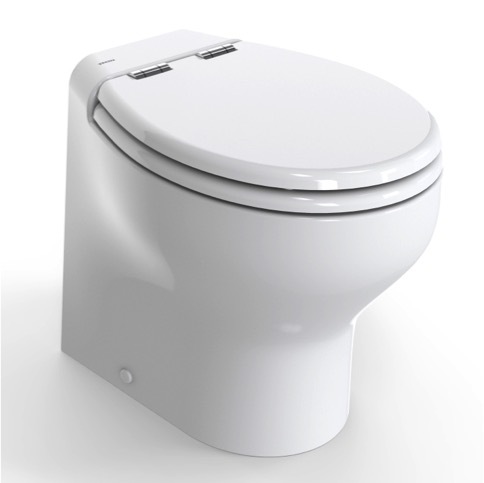 Continuous research into marine toilets by Tecma has resulted in the production of a range of toilets where performance, reliability, noise levels and design reach the highest standards. 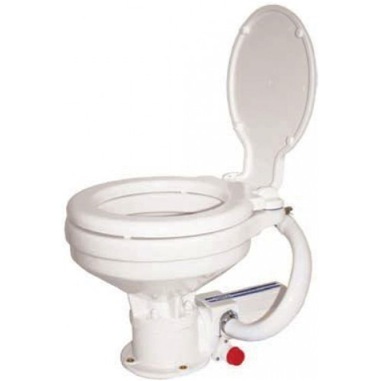 The high performance turbine macerator pump gives maximum plumbing flexibility for any installation. 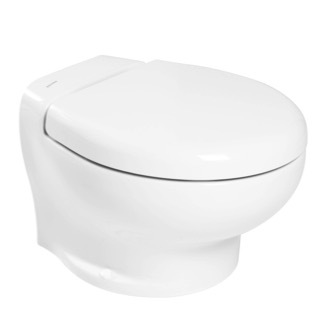 Completely automatic flushing via modern touch pad toilet controls combined with sleek European design ensure everyone will be impressed after using these toilets. 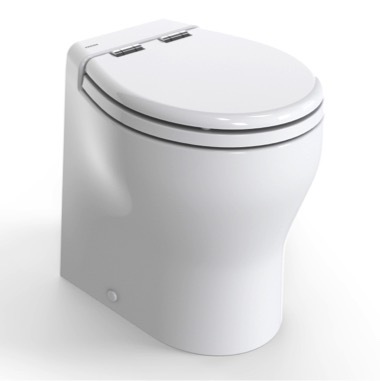 Unlike most toilets, Tecma toilets ensure a fixed flush volume every time the toilet is used, ensuring holding tanks don’t fill earlier than expected and onboard water supplies are not exhausted prematurely. 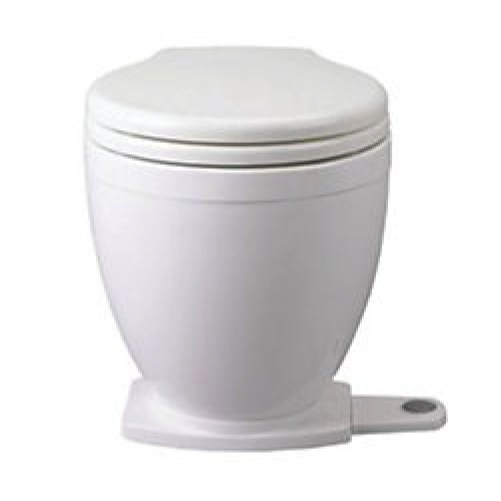 The supremely effective and comfortable Silence Plus 2G electric toilet has been created to offer total reliability, elegant design and ultra low noise. 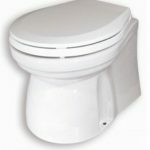 The floor located bowl offers maximum hygiene and cleaning practicality.